Breast cancer check-ups will be on offer at a flea-market at the Nelson Mandela Community Youth Centre on Sunday, 3 February to create awareness around World Cancer Day the following day. 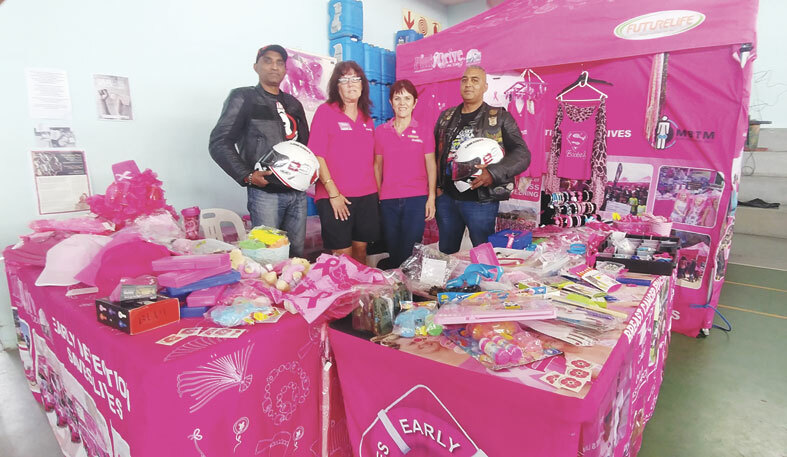 Janice Benecke, the KZN administrator for the Pink Drive said that the public will be called upon to unite against cancer at the market. cancer through early detection to save lives,” said Benecke. Sheryl Nair, a volunteer at the flea market appealed to families to support the market and get more information about cancer. “This flea market is expected to be very big because its the start of the 2019 season. The theme of the market is Stuff and Things, with almost anything and everything being sold on the day. “So you can expect lots of bargains and unusual items on sale. The highlight of the day will be the presence of PinkDrive who will be doing breast cancer check-ups and education. They will also teach women how to do self-examination. We appeal to women not to miss this opportunity to learn more because early detection can save your life. There will be free prostate-specific antigen (PSA) screening for the first 20 men over 40-years old. There will be lots of exciting fun activities including live music on stage,” said Nair. The market is expected to be big with over 120 stalls. The organisers are looking for more entertainers. For more information, contact Clive Pillay on 061 429 2574 or Tekisha Dilchund on 084 460 8601.